A brand new collection containing figures from the original James Cameron Terminator films, including for the first time ever: The original 1984 Terminator in action figure form. 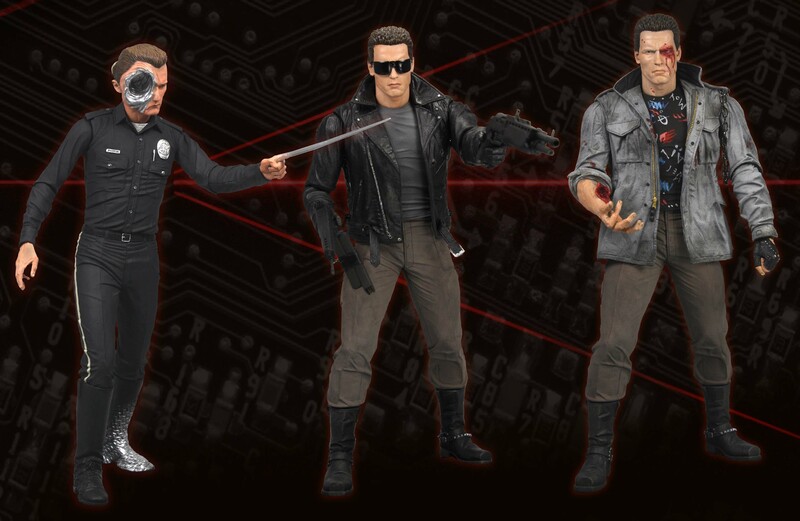 Series 2 includes Battle Damaged Tech Noir T-800 w 2 different heads, the Steel Mill T-1000 also with 2 different heads, and the Police Station Assault T-800 with 2 different heads! Each figures stands 7″ tall and features multiple points of articulation along with movie-accurate accessories. Clamshell packaging.